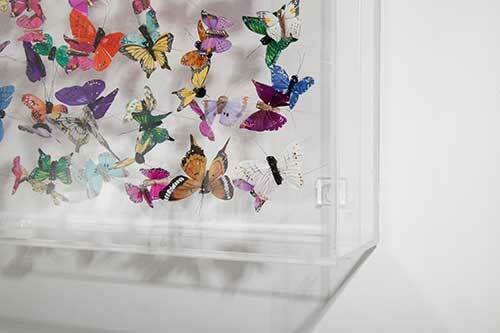 Welcome, you’ve found your way to Michael Olsen Butterfly Art. I really hope that the content of my site interests you enough to look deeper and find out about me. What makes me tick, and keep up to date with my development through my weekly blog as well as social media. I began creating these beautiful artworks 4 years ago. During the intervening years, no natural butterfly has been harmed in the process as I use hand-painted feather varieties. Since then a growing audience in the UK and abroad has accepted and grown to love my Butterfly Art as have I. As I develop things just seem to get better. The design, content and layout of my works have evolved & matured over the years. The art I created then is quite different to the what is finding its way into clients’ homes now. 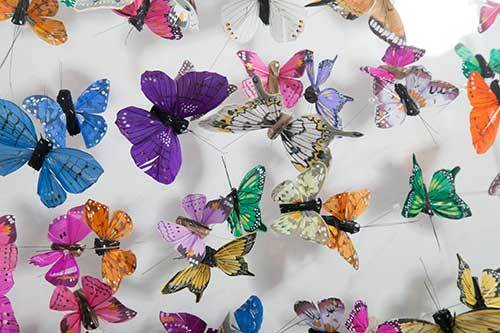 The choice of butterfly colours are more vibrant & the layouts have more substance. I have streamlined the acrylic boxes from an original depth of 20cm to 15cm and now to 10cm. As my art has become more widely regarded and accepted I’m being asked to undertake an increasing number of one-off commissions. The largest and most challenging piece of Butterfly Art that I have created so far measures 2m x 1.5m. This work featured at a charity auction which took place at the Dorchester Hotel and raised £13,000. Other interesting recent works are a freestanding display 1.8-metres high and a 1.2m. x 1.2m. 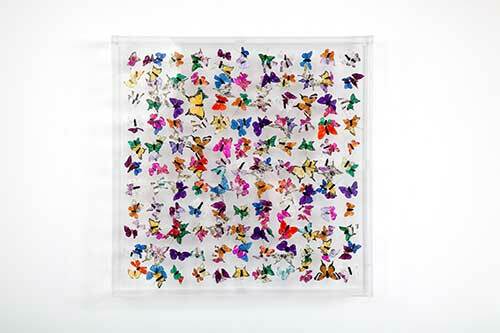 A commemorative work that incorporated 11 real butterflies mixed in with 600 of my feather varieties. This was a very moving memorial and gave me unfettered pleasure during its creation and presentation to the client. From a standing start in 2014 and then represented solely by Taylor Smith Gallery in Westerham, I now have associations with 25 galleries who represent my work. Located in Cities from Cornwall to Peebles and in between, as well as in Dublin. 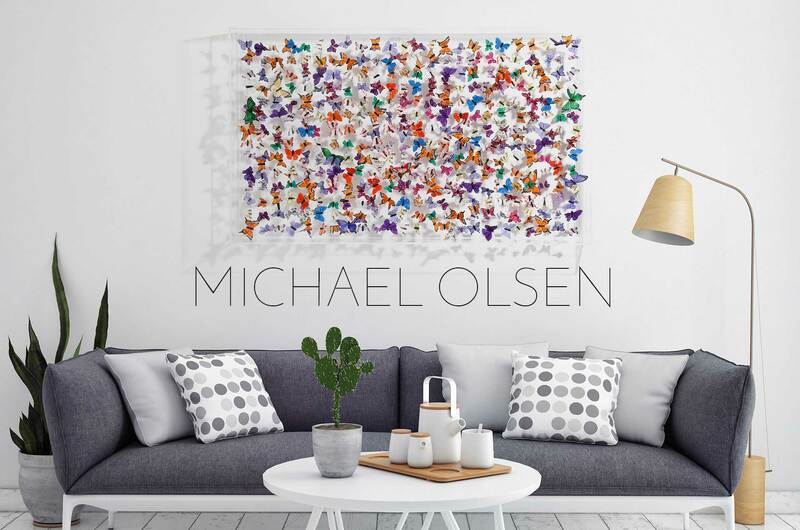 Whilst selling throughout the United Kingdom, Michael Olsen Butterfly Art has also been purchased by clients in Stockholm, the United States and Hong Kong. New and exciting projects are underway, and the launch of my long-awaited Aquatic theme installation is imminent and will be shown at The Affordable Art Fair in Battersea.